Participatory Budgeting(PB) enables people to make their community better, starting with issues that concern us all. The biggest concern we face as a society is climate change. In a new blog featured on the Shared Future CIC’s website Alan Budge connects PB and climate change. We feature some highlights below. In August 2018, Greta Thunberg, a fifteen year old Swedish schoolgirl, went on strike. She sat herself down outside the Swedish Parliament building and began a one-person ‘climate strike’. Just over six months later, schools around the world are now ‘striking for the climate’ on a regular basis. On March 15th, thousands of children across the UK as well as strikers in over 100 other countries skipped school in order to protest. We know that a local PB event can attract literally hundreds of participants (often many new to political engagement). That is why we are interested in developing a programme of PB events, developed within the many Local Authority areas (58 and counting at the time of writing) to have declared a ‘climate emergency’ since December 2018. We want to call this programme Our Money, Our Planet. 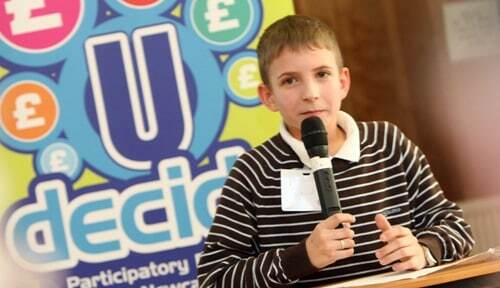 Alan Budge is one of the PB Partners, a team of passionate PB experts, coordinated by Shared Future CIC. 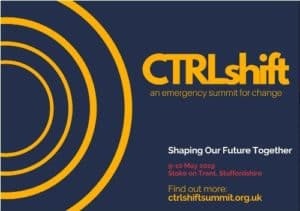 PB Partners will be at the upcoming CTRLshift emergency summit for change, in Stoke on Trent on the 9th-10th May 2019, where PB Partners will be discussing how to take forward Our Money, Our Planet. Find out about CTRLshiftsummit and book places here.